While playing, it was pretty zoomed in - can I zoom out somehow? It's a small simulation/toy/game-thing. Interactive by typing words, and also meant for just chilling out to during the cold months. Yay pixel thread! I love these - lots of great stuff in here :) Here's a new mage enemy I made. I really like the proportions of these! So wide and chibi :) Are they for a game? 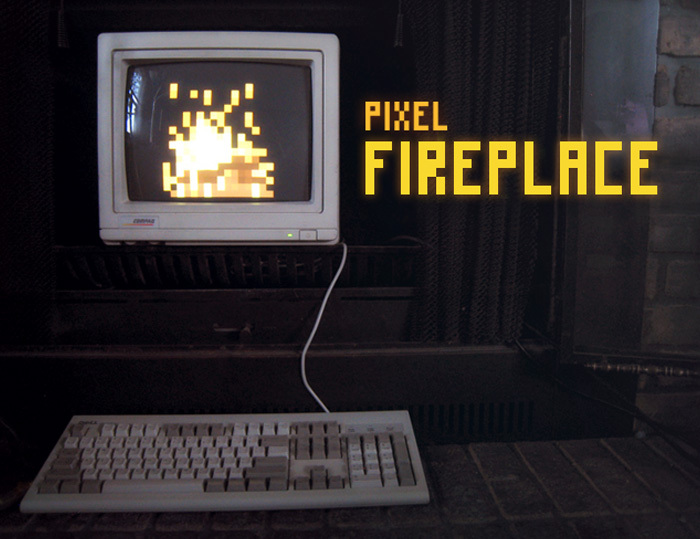 Hey all, I've re-released Pixel Fireplace here on Itch.io (it was offline for 2 years). It's a cozy, type-controlled simulation. Type log to throw some on the fire and they'll slowly burn down to ash (about 15 min each). Type other interactive commands like marshmallow, smore, hotdog, firecracker, paper, and colors like red, purple, cyan, aurora, dusk, etc. Or just sit back and enjoy the fire.